I had typed this entire blog post and lost it with a click of a key! You’d have thought WordPress could have save it but now it didn’t. So my poor mouse took a hit… It was either the mouse or the laptop. So here I am trying to make things better with the mouse, thank the gods, goddess, universe, God, and Ganesh, it survived! And now I’m starting from scratch. 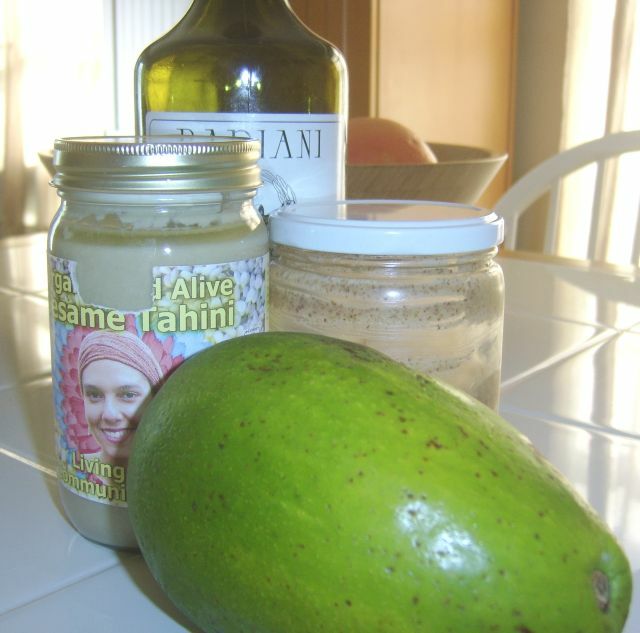 I had some funny story about mediterrenean food, but who remembers! 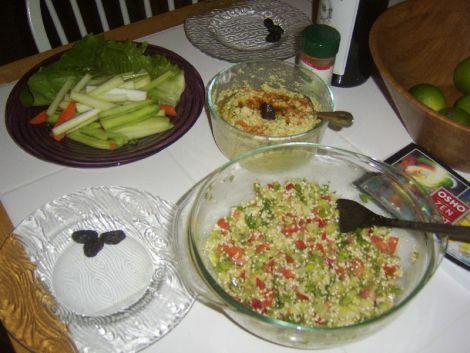 So here is the darn recipe for tabouli and raw chickpea hummus. Sprout the quinoa for two days or as long as you prefer them. Rinse and drain then place in a mixing bowl. Add the vegetables, olive oil, salt, lemon juice, tahini, parsley, and cilantro. 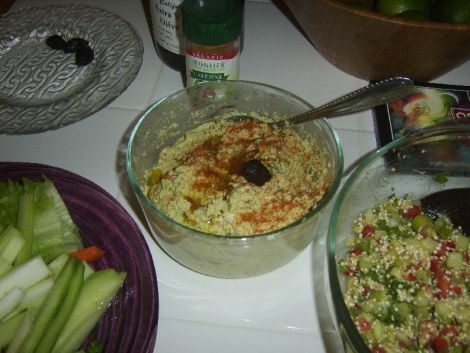 Mix well and serve with hummus and cut vegetables. Rinse the sprouted chickpeas and put in food processor. Add all the other ingredients and mix until smooth. Put in a bowl, add some olive oil on top, sprinkle some cayenne pepper, and add an olive. Oh! and now that I’m finally in a good mood, enjoy! Denis and I moved from a small 3-bedroom house to a tiny beach apartment a few months back and during that stressful packing time, I made this recipe everyday. I was making sure to empty my refrigerator so that I could clean it before returning the house, so we had very little fresh food left. I came up with this salad with different types of Seaweed to sort of keep the “ocean-sea” theme since we were moving to the beach. So I named it “Moving to the Beach Salad”! *I’m able to buy a pack from Glaser market that is ready to prepare, but any seaweed salad mix will do. Soak the seaweed salad for 10 minutes and drain water and add more water to soak for another 10 minutes. Or if you buy a particular brand of seaweed mix, simply follow the directions in the package. Some mixes require more or less time soaked in water. 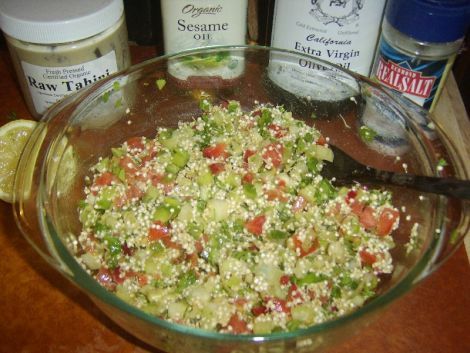 In a separate bowl, mix the sesame oil, olive oil, namashoyu, pepper flakes, and apple cider vinegar if you are using it. We don’t use vinegar, but most seaweed salad dressings have vinegar and agave, but I believe apple cider vinegar replaces both. 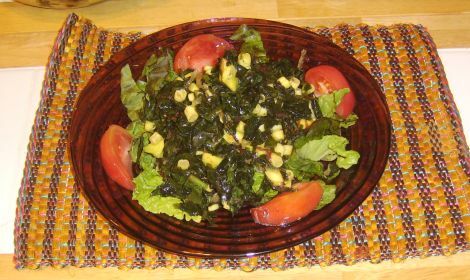 Depending on how big the package of seaweed is, you may have to increase the amounts of the oils and ingredients for the dressing. After draining the seaweed water the second time, rinse the seaweed in a strainer or colander with more water. 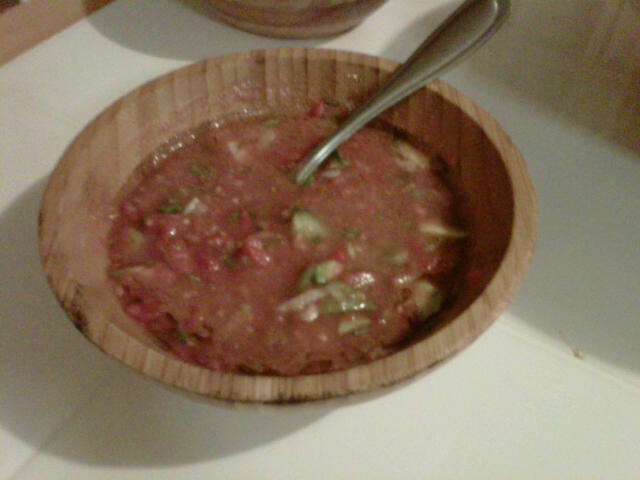 Shake the excess water off and add the salad to the bowl with the dressing. Mix well and let sit for about 5 minutes. In the meantime, shred the lettuce or cut thinly to use a bed for the seaweed. Cut the beans as thin as you like and add to the lettuce. Cut tomatoes to complement the meal and finally add the seaweed on top of the lettuce and beans. I also serve this with avocado slices. We eat seaweed at least once a week; it’s a good source of minerals and vitamins. We are fortunate that we can buy the seaweed mix at our local farm, but there are websites that sells amazing seaweed salads for a reasonable price. I recommend the Sea Tangle Noodle Company which also offers kelp noodles. Hope you enjoy this recipe and stay tuned for my kelp noodle recipes!